Just something I made last semester. The glaze work isn’t anything to be impressed by but I was going for cloyingly beautiful with the form. 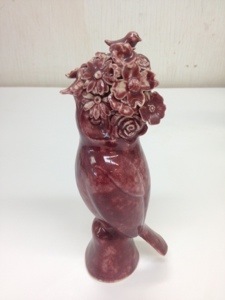 Categories: Uncategorized | Tags: Bird, flower, owl, raspberry glaze | Permalink.